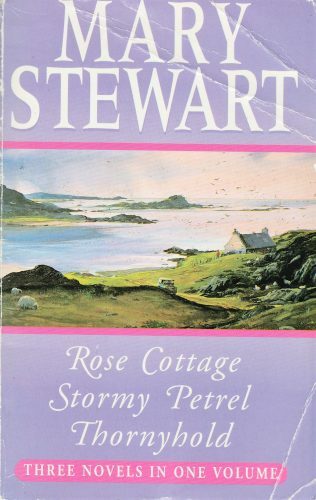 slowly, like a clear spring welling up from the common earth, the poem rose and spread and filled me, unstoppable as flood water, technique unknotting even as it ran, like snags rolled away on the flood. 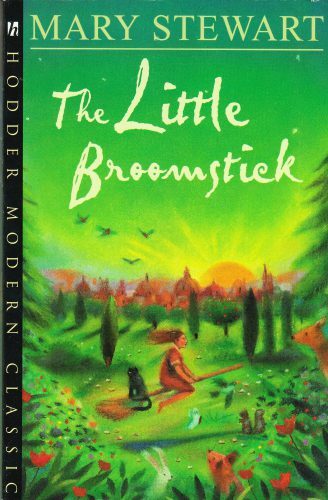 When it comes, it is worth everything in the world. 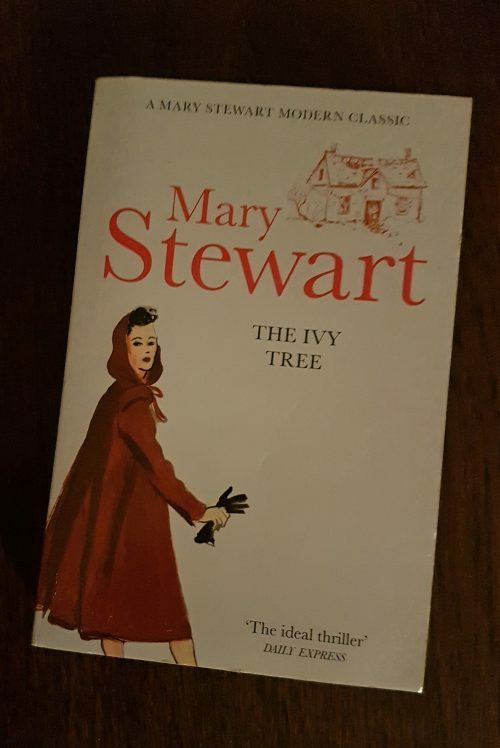 There is too much easy talk about ‘inspiration’, but at such times one sees it exactly for what it is, a breathing in of all experience, all apprehension of beauty, all love. 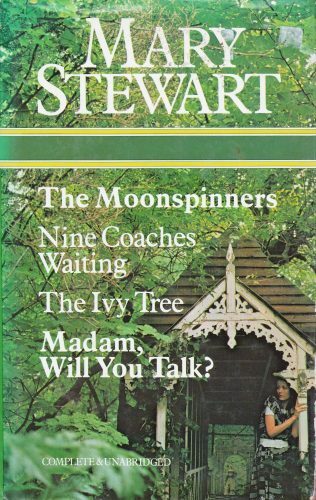 As a fire needs air to make it burn, so a poem needs to be fuelled by each one of these. 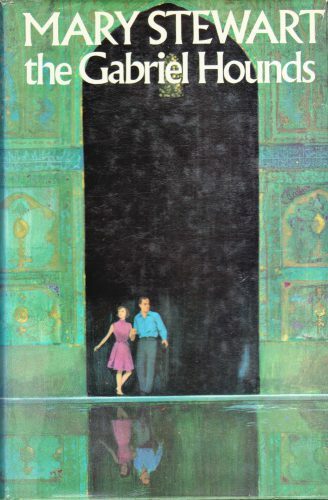 And the greatest of these is love. 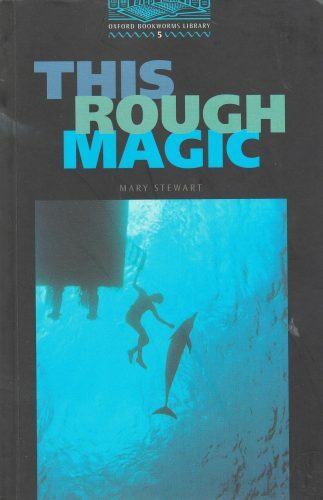 Do you relate to this experience? 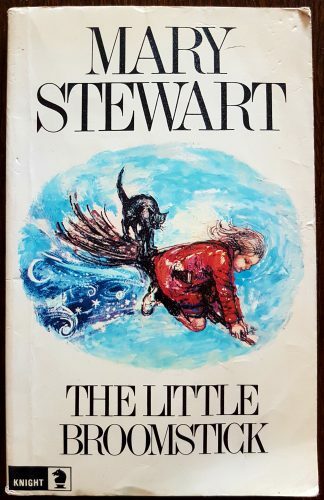 I’m no poet, nor a writer, but it reads true to me – I have felt this at times when writing poetry, essays or even when a blog post flows just so! 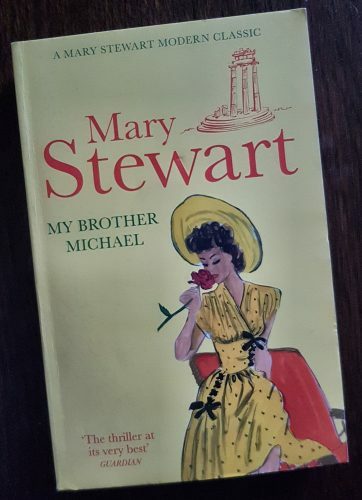 I like this quote for its truth, and I am delighted by the final sentence because it displays classic intertextuality by Mary Stewart: by quoting 1 Corinthians 13:13, she adds depth and layers of inter-connection to her description. 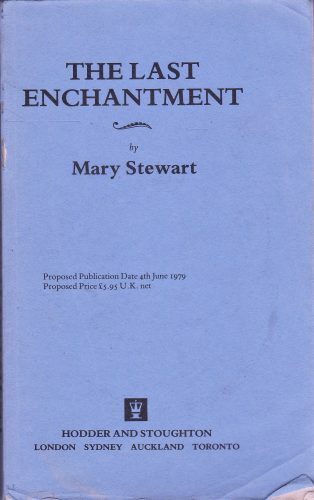 Without her writing it explicitly, there is the added suggestion of something spiritual or divine in the creative act. 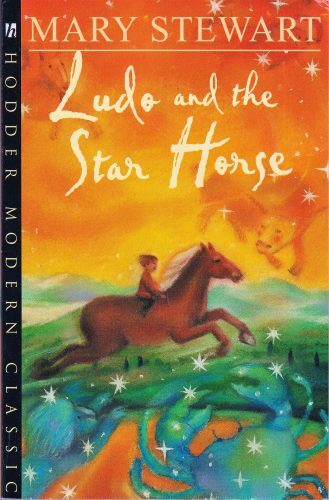 What do you think about today’s quote? 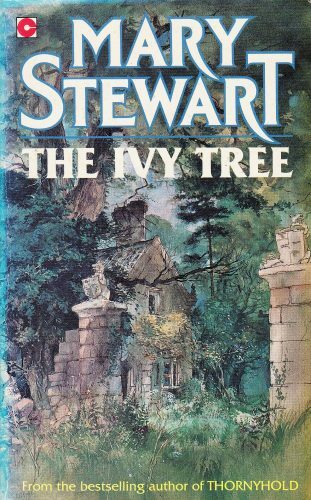 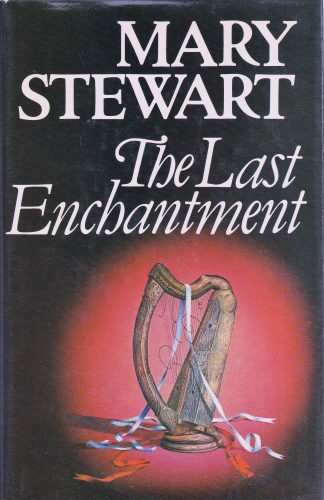 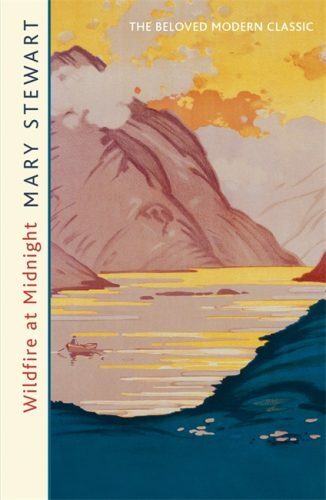 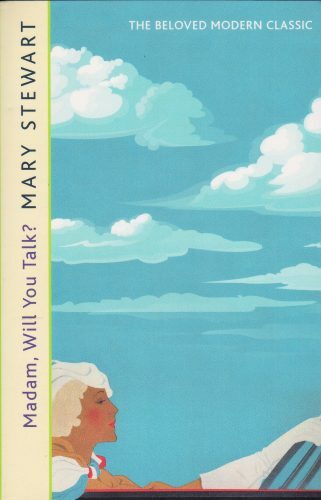 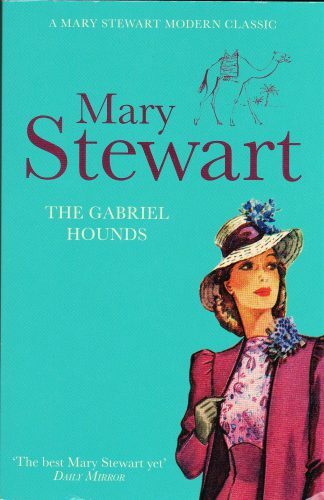 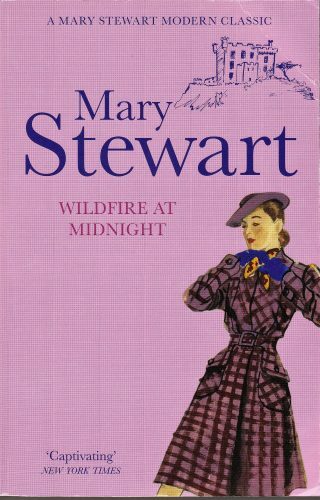 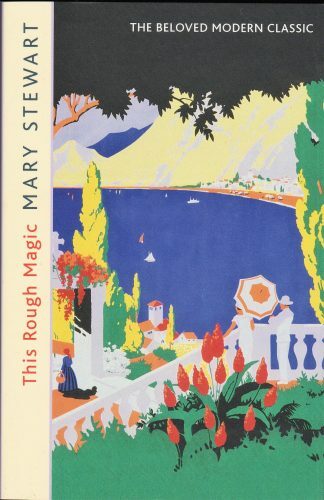 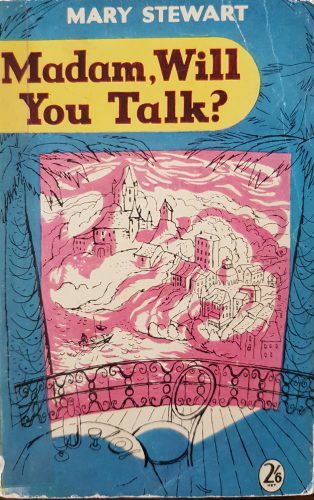 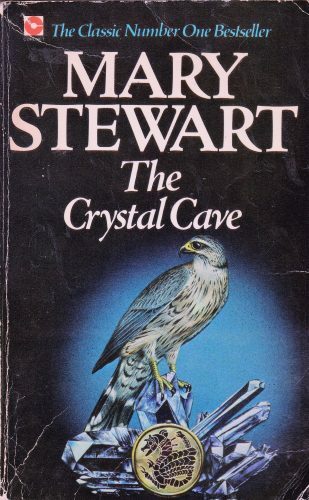 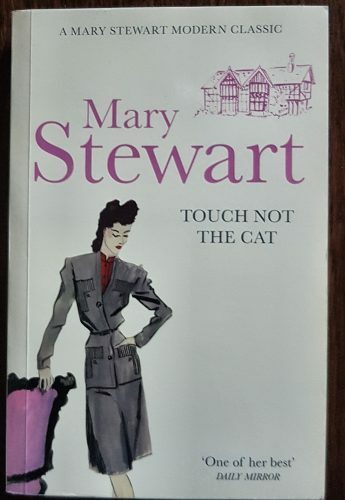 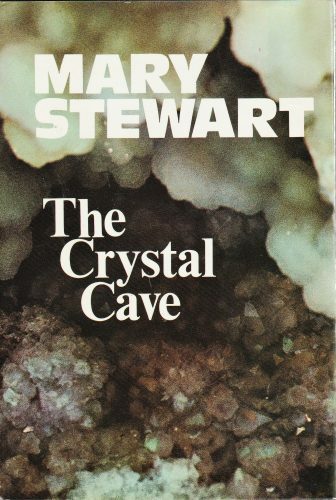 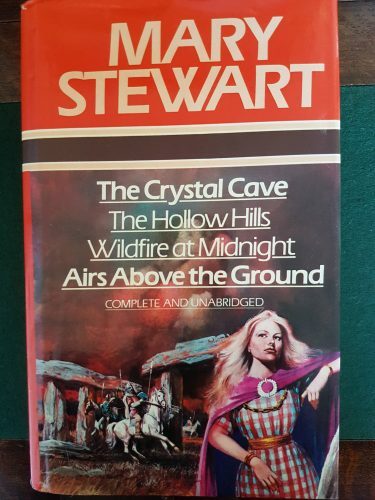 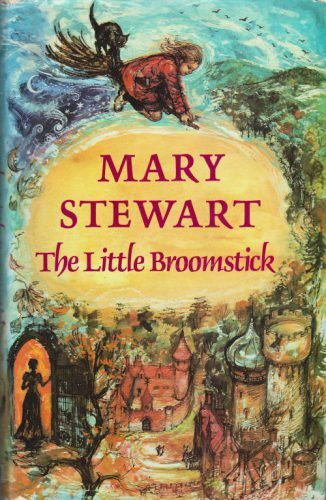 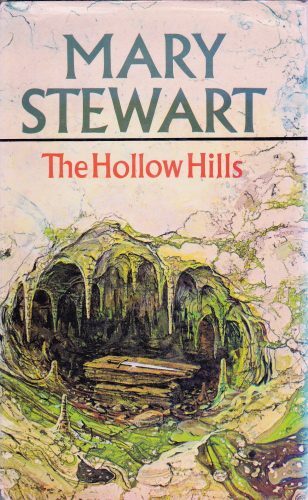 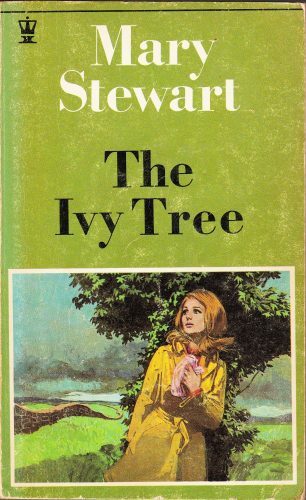 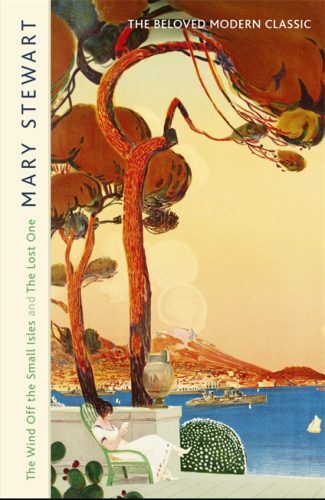 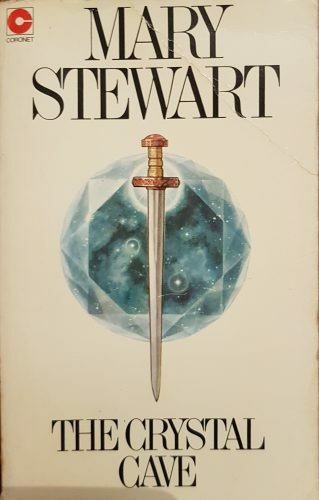 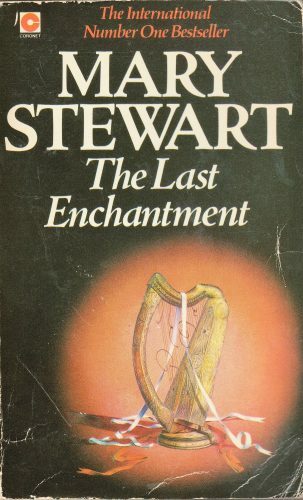 I’d love to know your favourite Mary Stewart quotes. 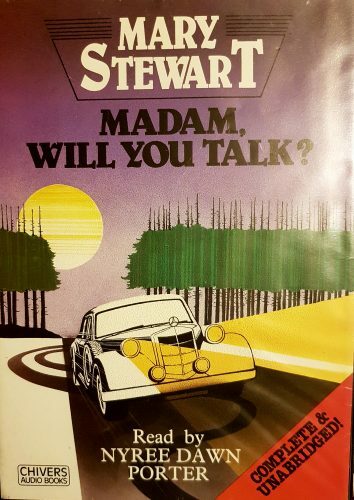 Previous Previous post: Thurzday Quizday: Madam, Will You Talk? 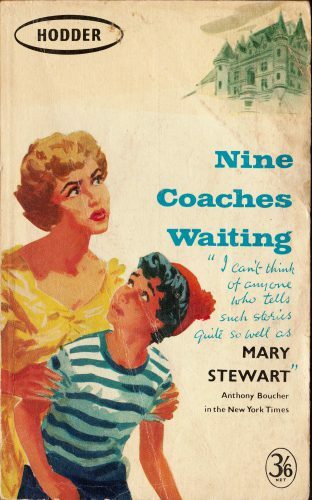 Love this quote. 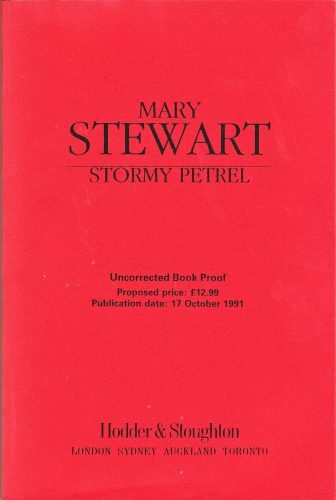 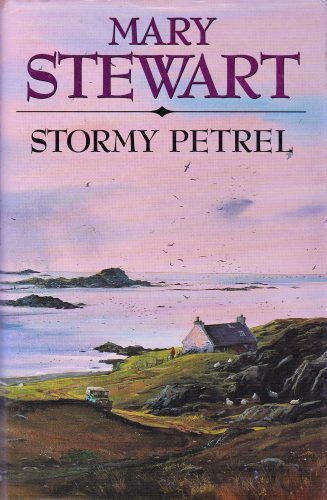 My copy of Stormy Petrel is actually on its way. 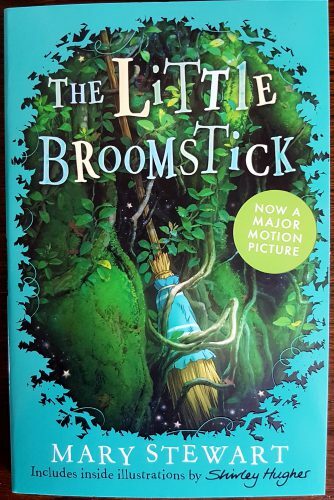 I can’t wait to read it! 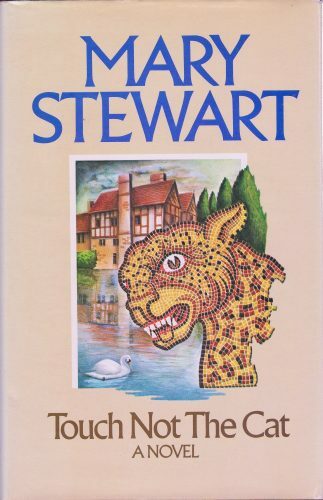 Hi Jessie, good to hear you like this quote too, I think it’s a great quote about writing. 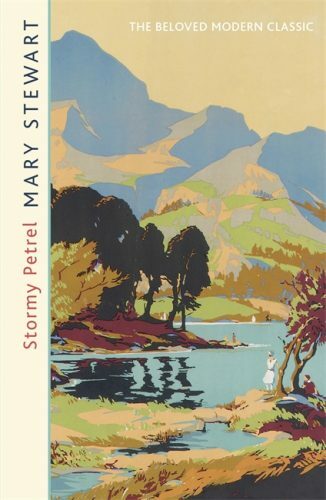 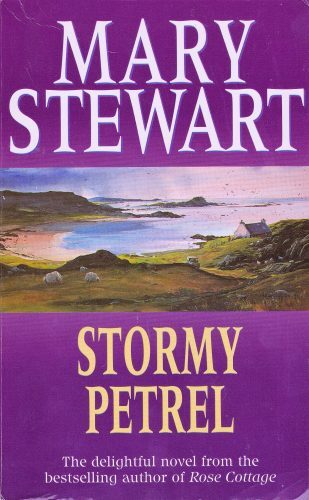 I hope you’ll enjoy Stormy Petrel, it is a gentler read than the early suspense novels but I like it a great deal. 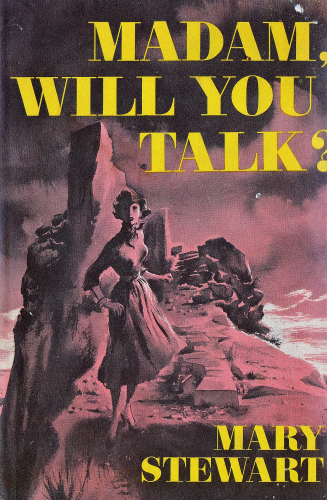 Hopefully you will blog your thoughts on it? 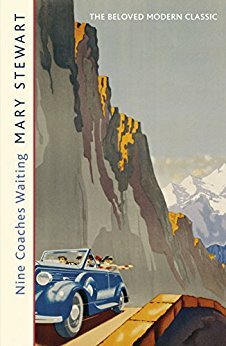 It is a great quote on writing! 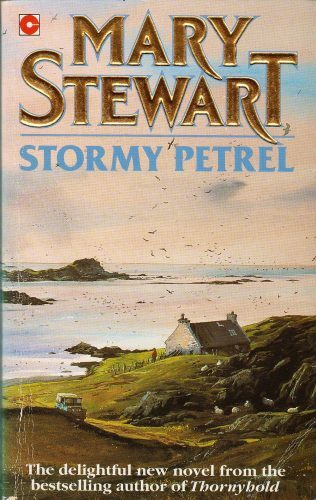 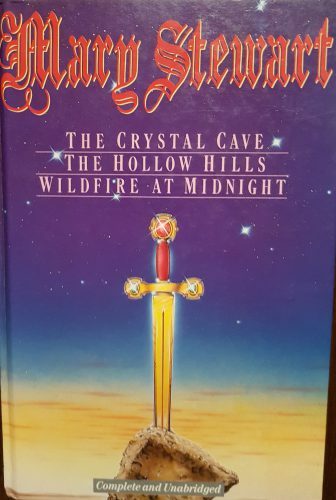 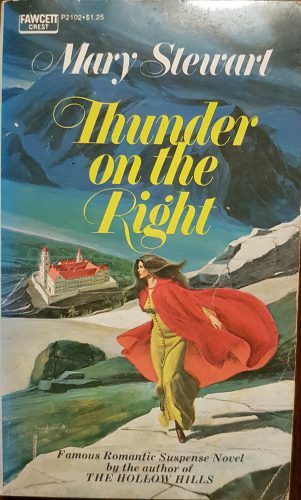 Actually, I plan to save Stormy Petrel for the fall/ early winter- it seems like it might be a great autumnal read… I also ordered My Brother Michael and The Moonspinners, and will probably read one of them soon. 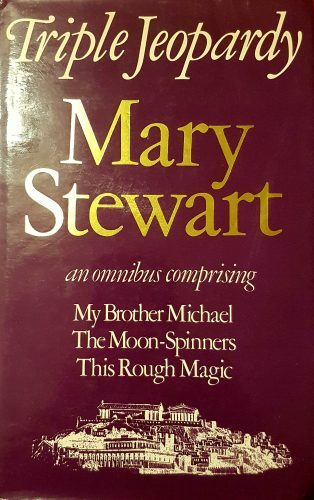 Do you recommend one over the other? 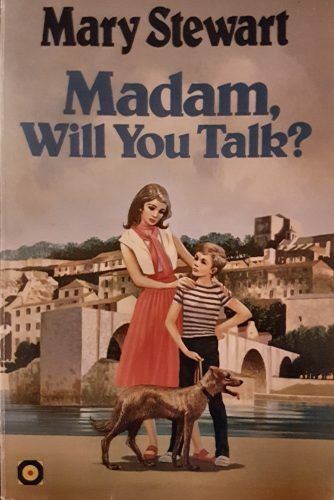 You have lovely treats in store! 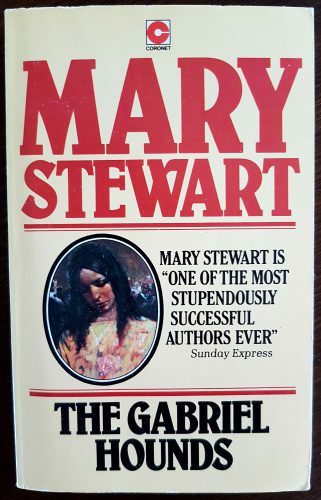 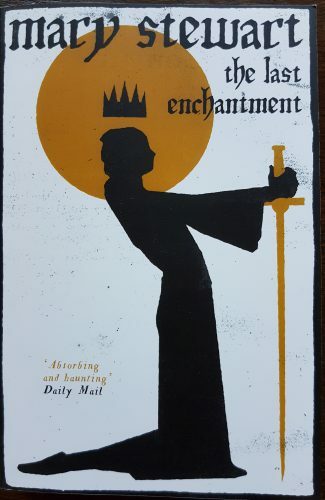 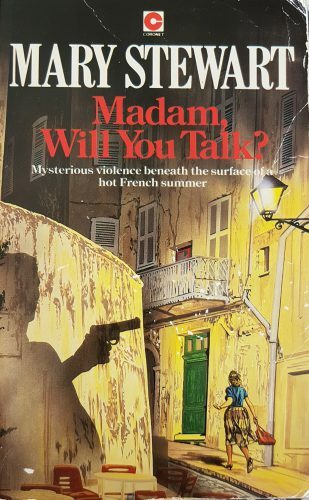 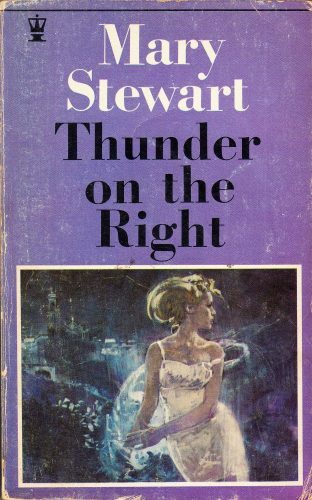 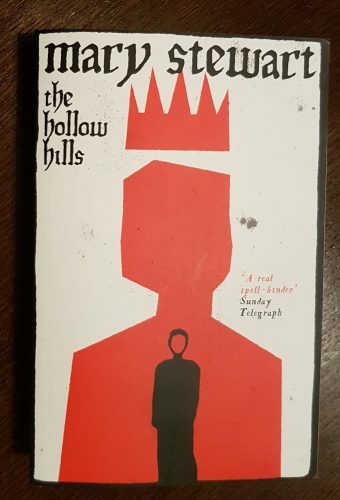 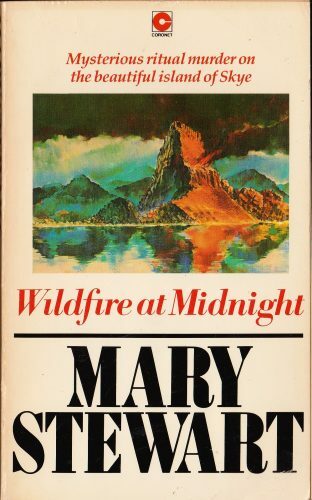 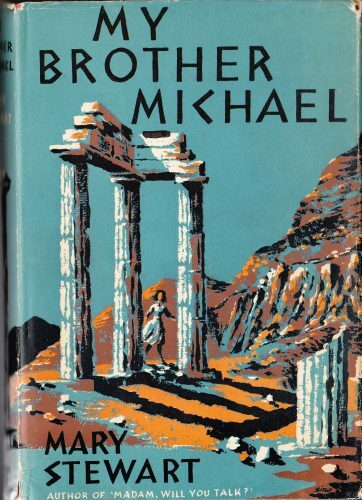 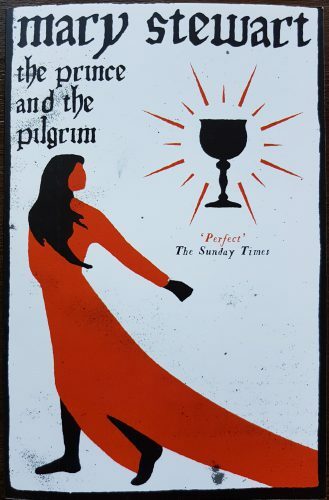 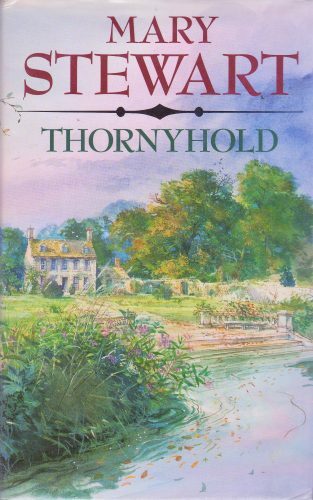 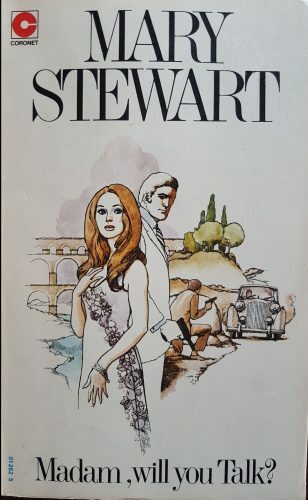 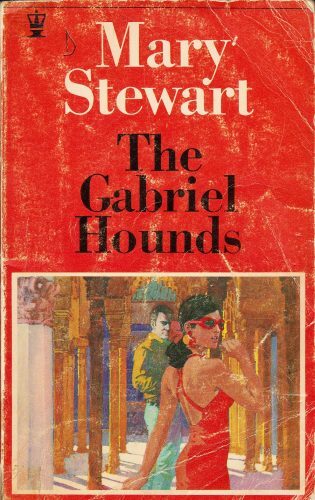 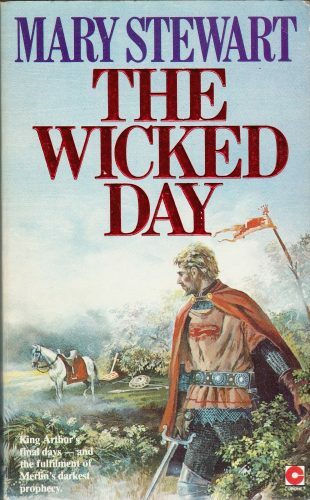 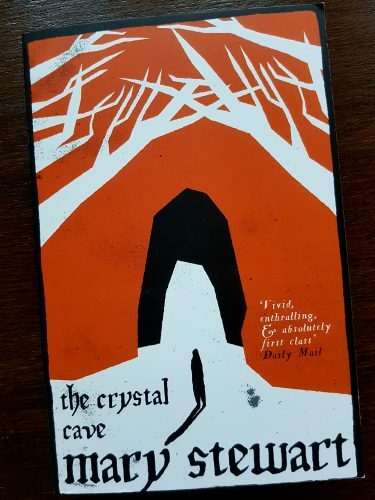 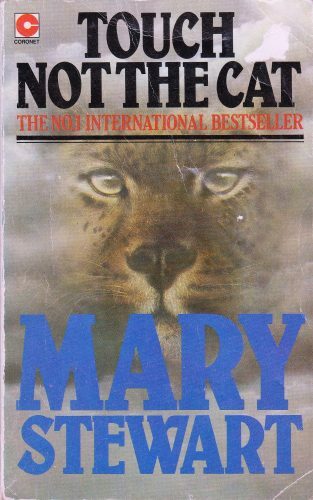 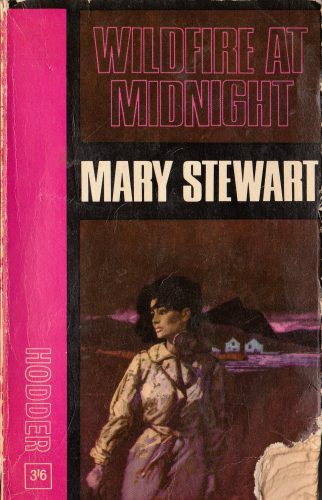 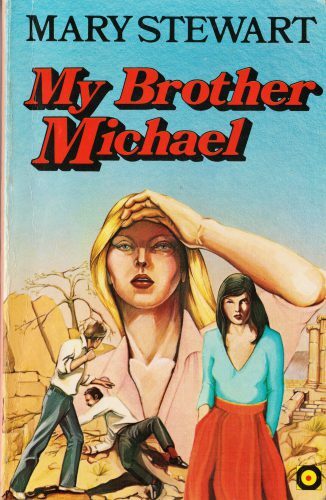 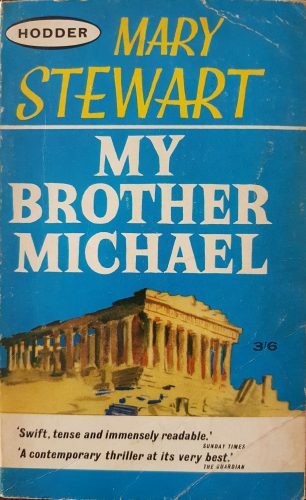 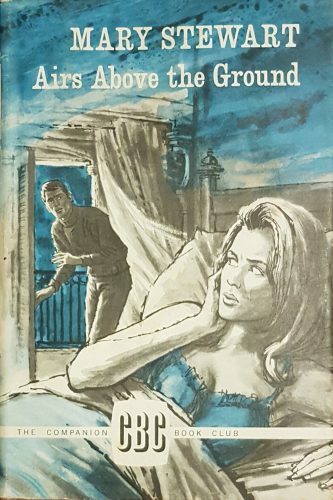 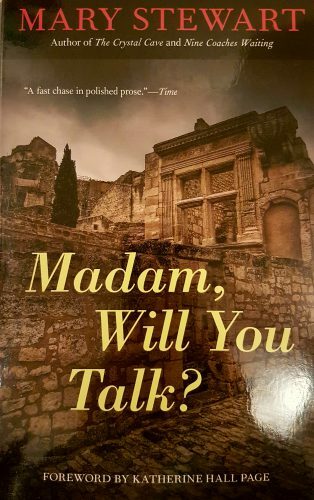 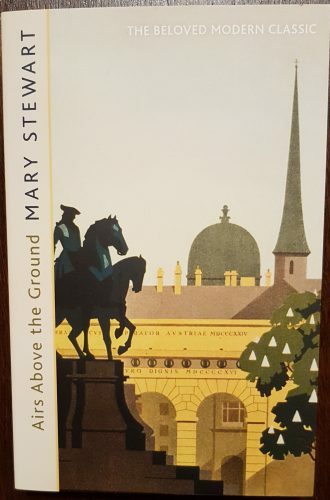 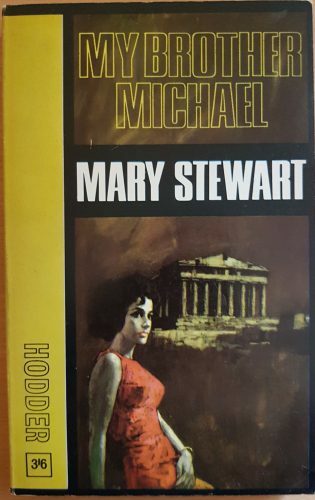 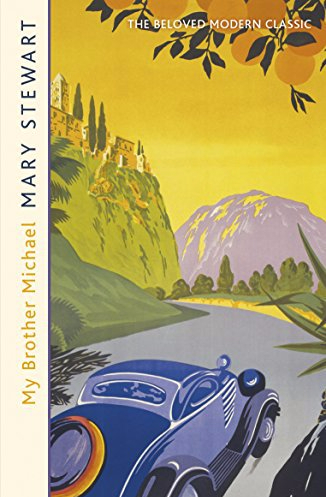 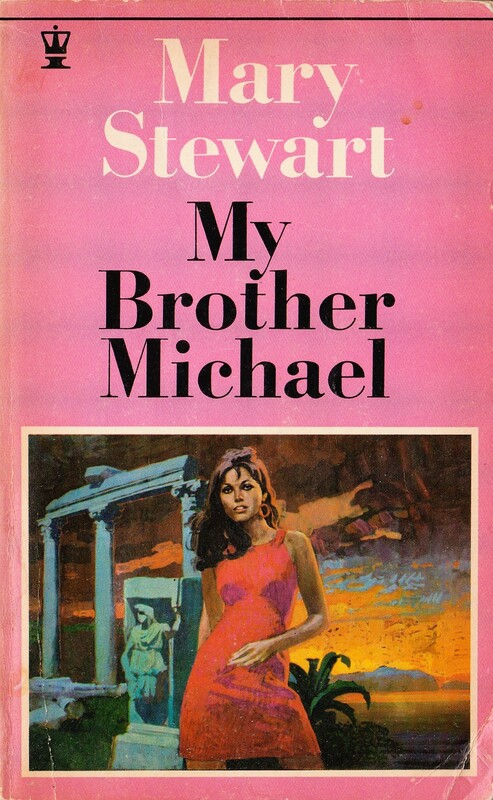 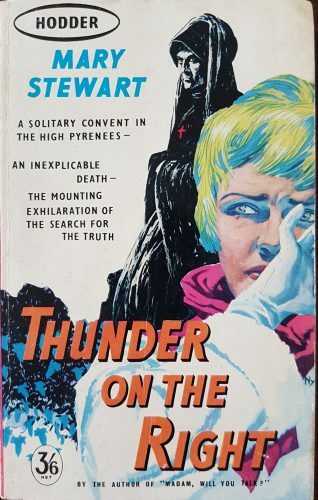 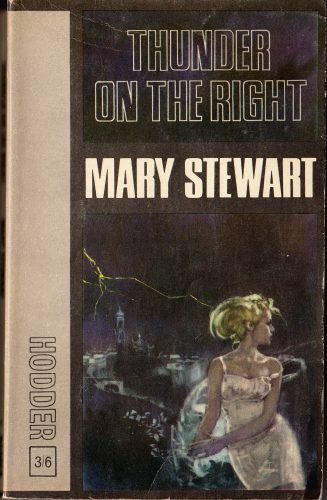 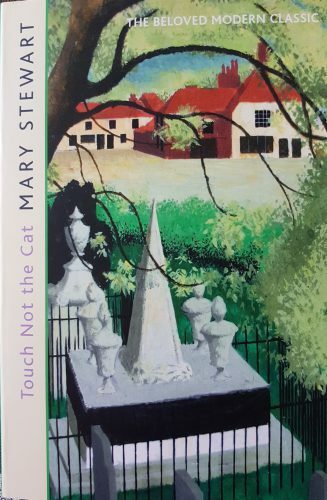 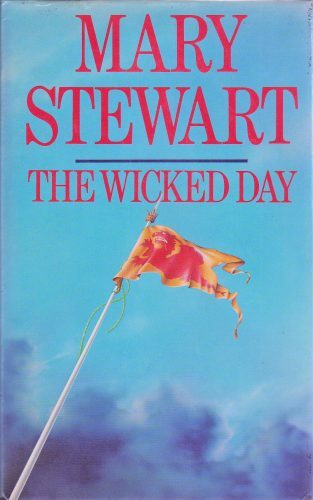 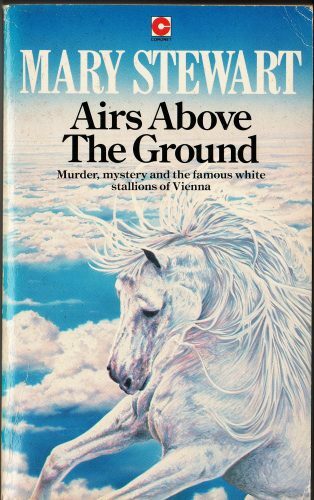 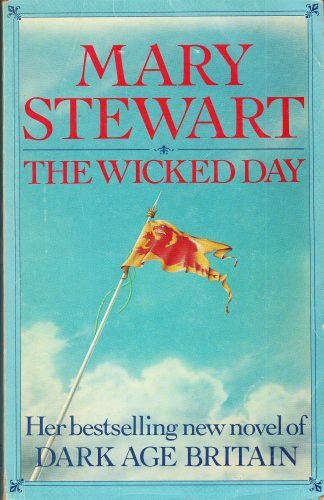 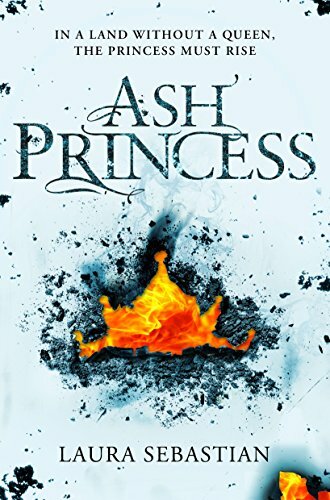 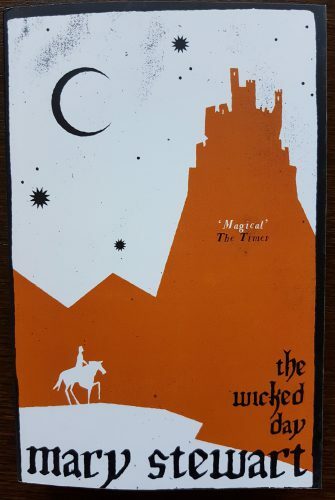 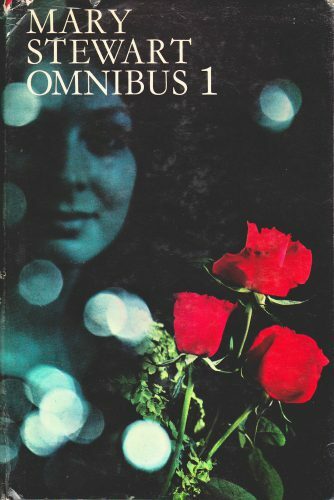 My Brother Michael is excellent, probably the most on-the-page violence of her books because Mary Stewart was exploring themes including how can we respond to wrong-doing and evil – but it is lightly done within gripping suspense and it also has some fab humour! 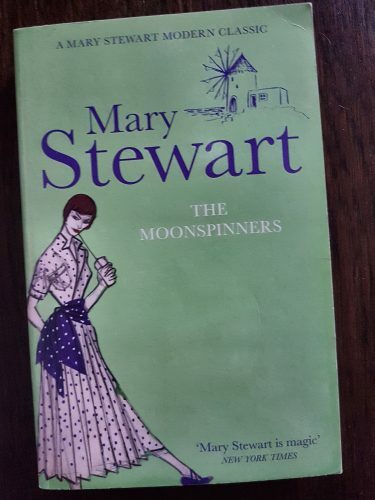 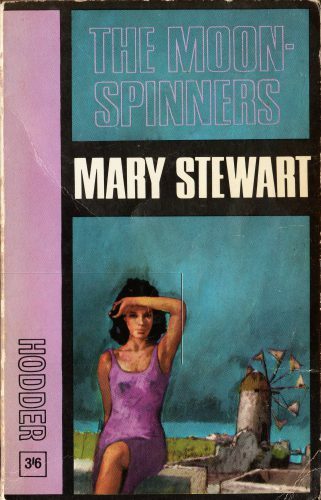 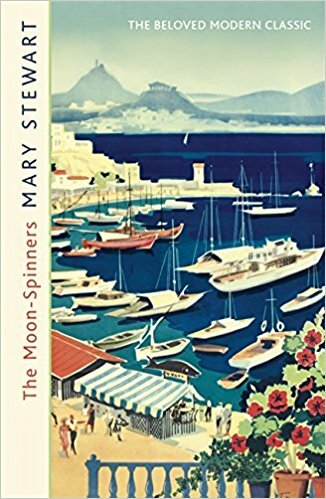 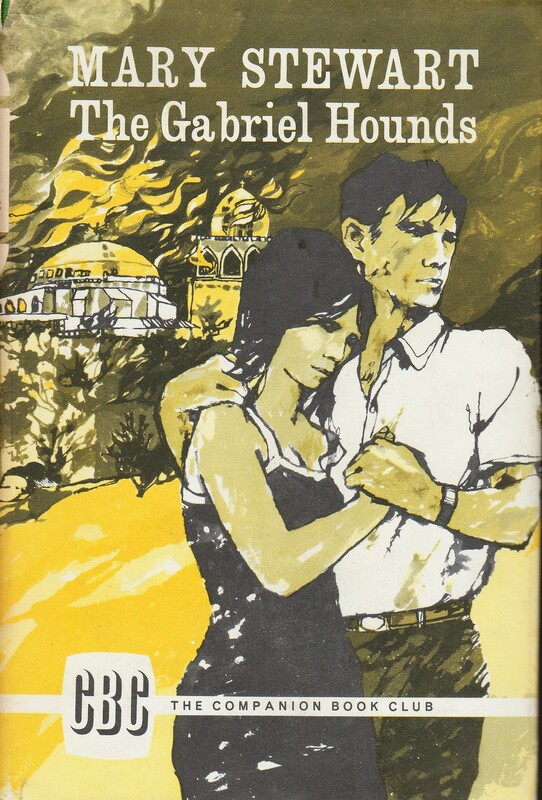 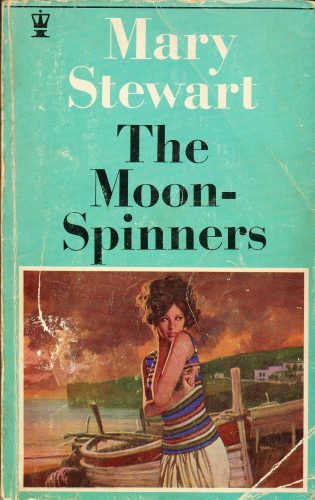 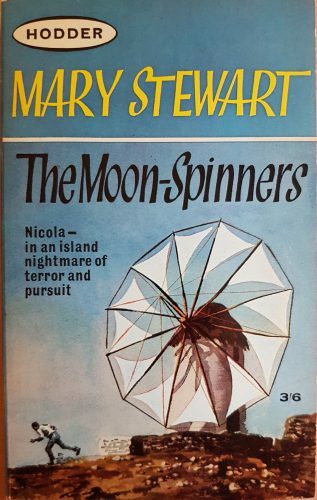 Set in Greece, as is The Moon-Spinners which is on Crete. 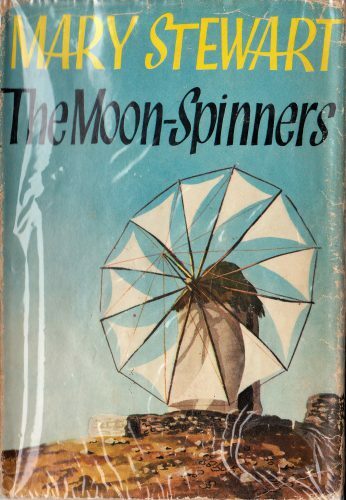 The Moon-Spinners is also fab, lighter than My Brother Michael with a fresh young heroine who races into danger without a second thought, also has some nice humour. 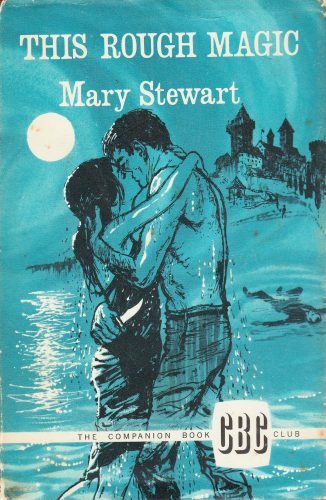 And of course oodles of suspense and a touch of romance. 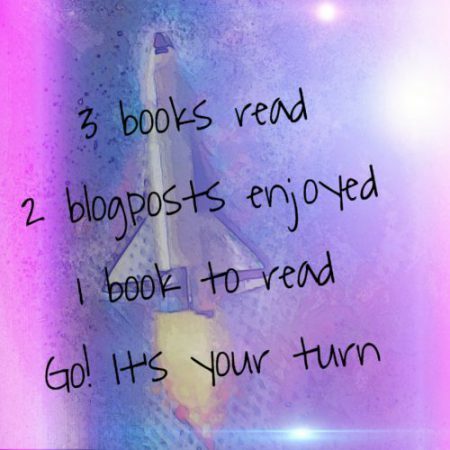 Read them whichever order you like, I hope you will love them both. 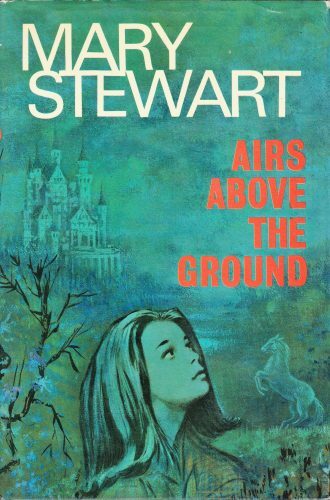 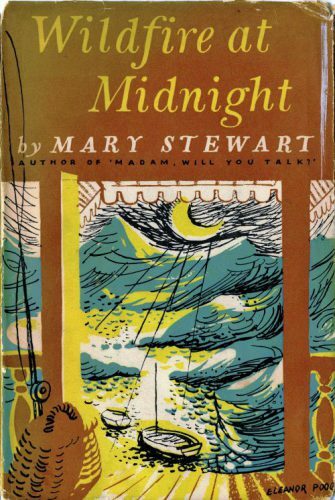 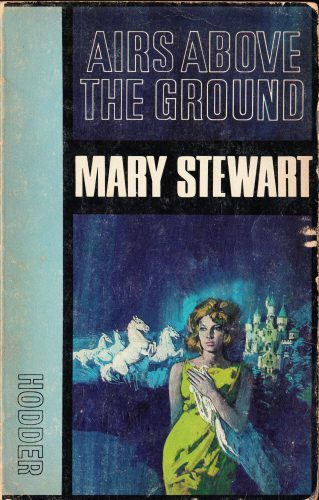 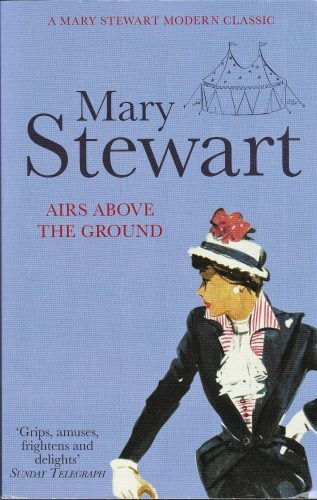 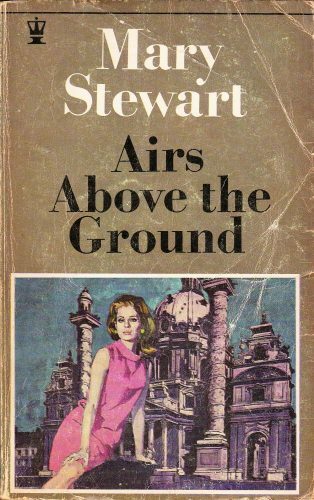 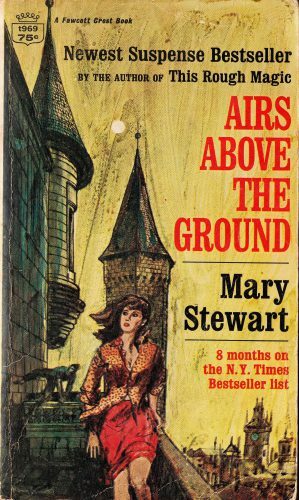 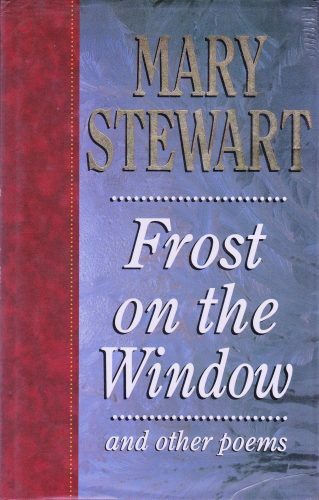 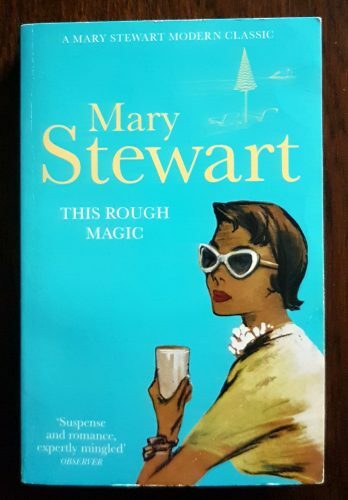 Allison, your blog and dedication to Mary Stewart always astounds me. 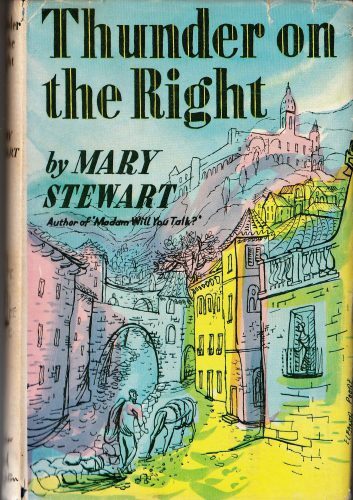 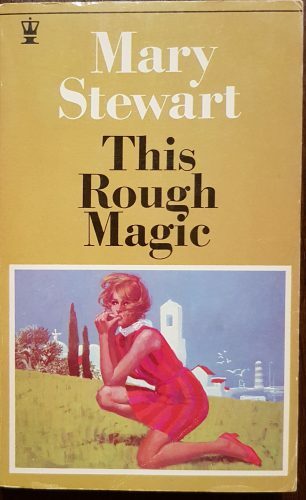 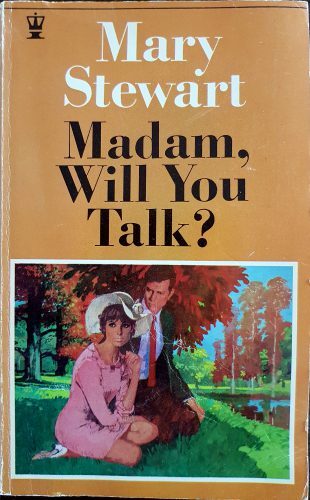 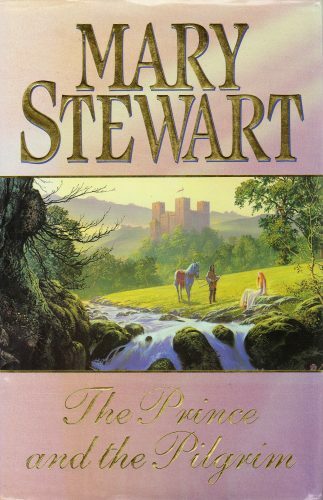 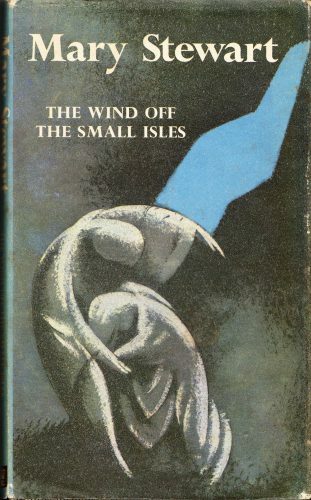 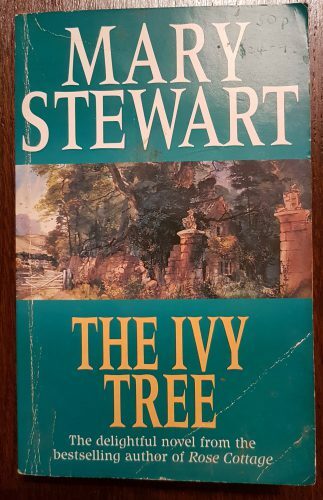 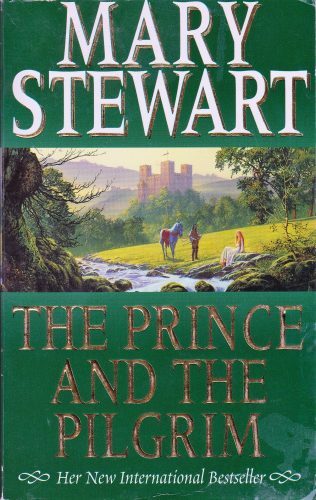 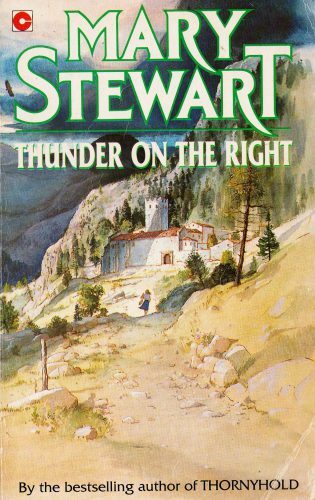 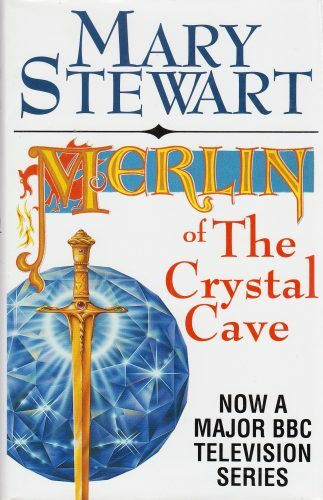 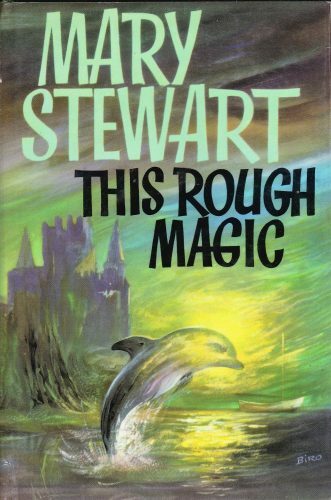 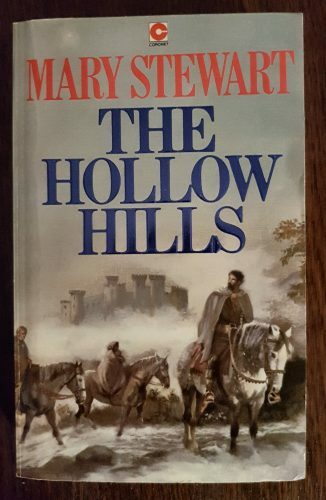 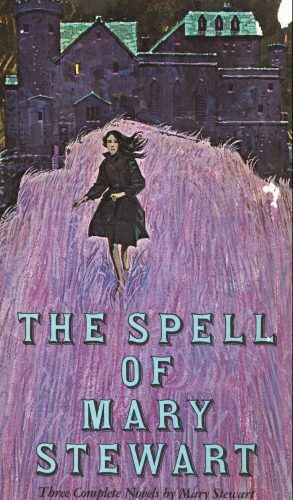 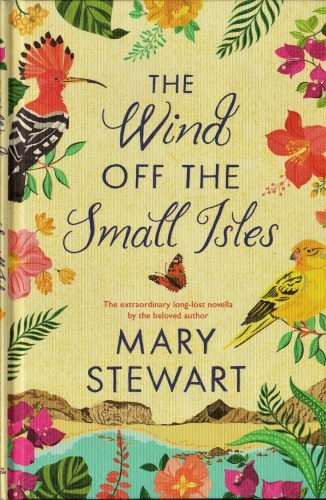 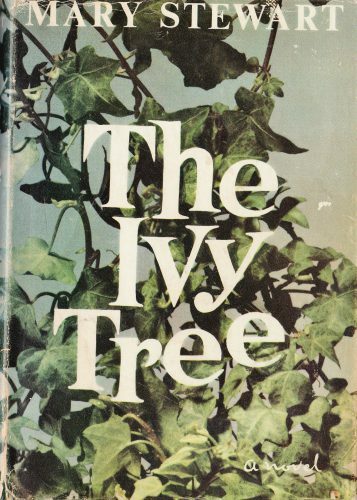 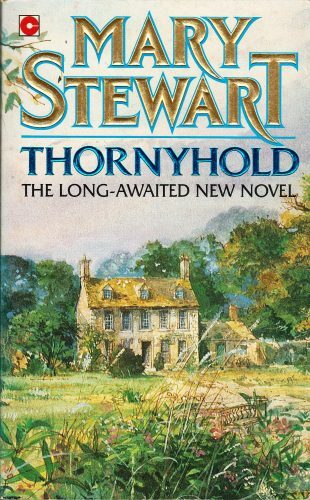 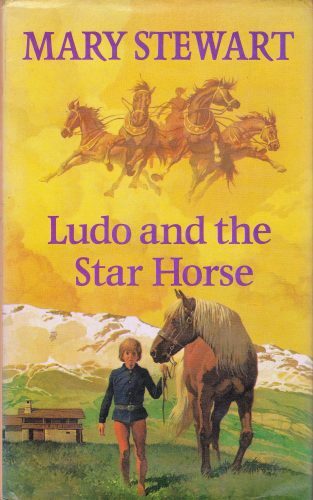 You are offering me many good and new – apart from the joy reading Mary Stewart’s books is already giving me- reasons to reread all my books. 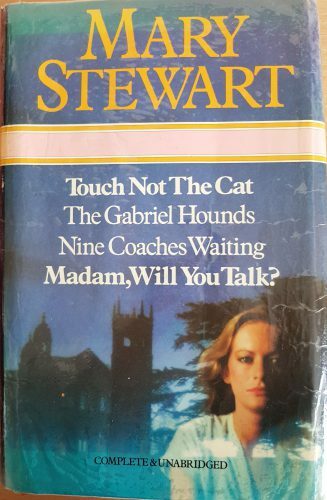 One would be finding the quotes I like most now. 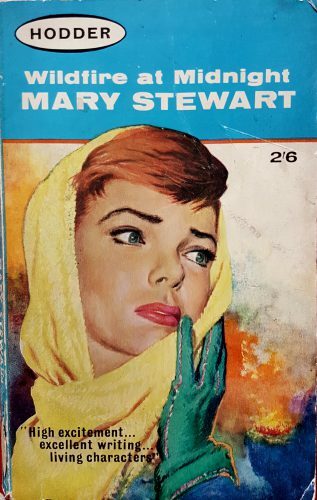 Maybe I should start a Mary Stewart reading journal for that. 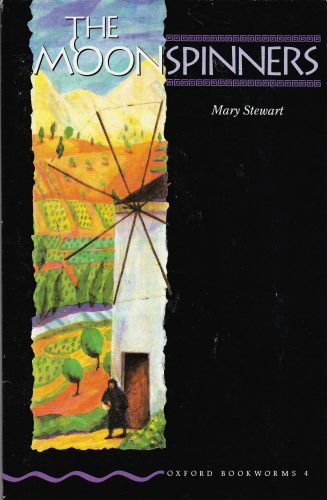 letting go: surrender to what wants to be written and a consciously letting go of all superfluous words that are mostly filling the space the poem needs. 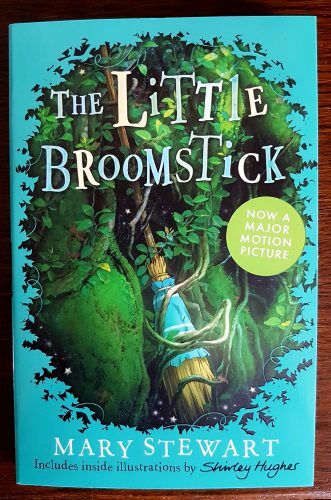 Thanks for sharing these great comments, Cath! 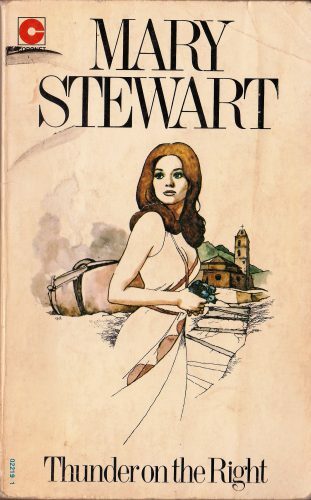 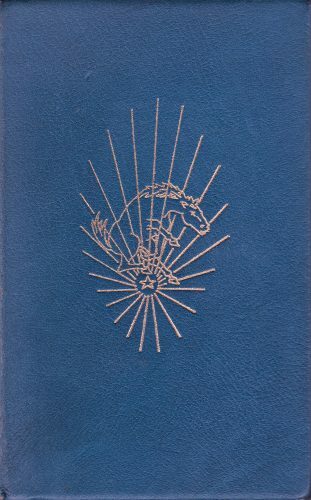 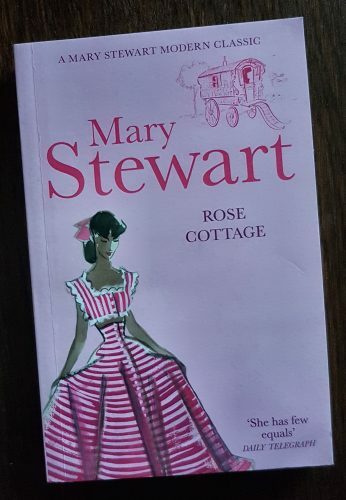 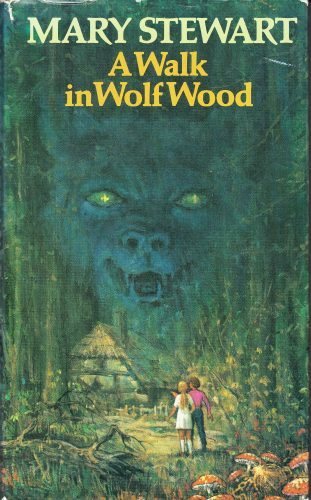 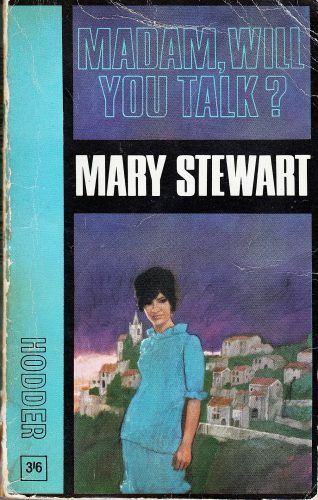 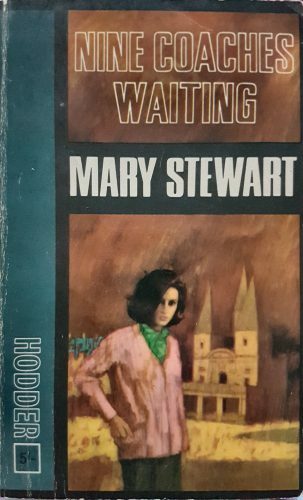 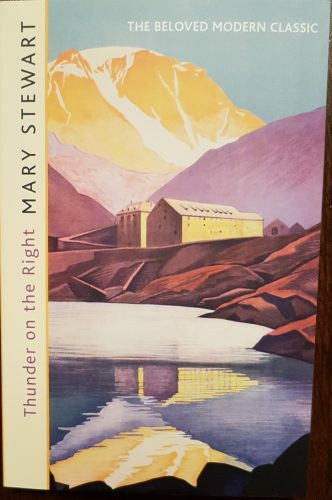 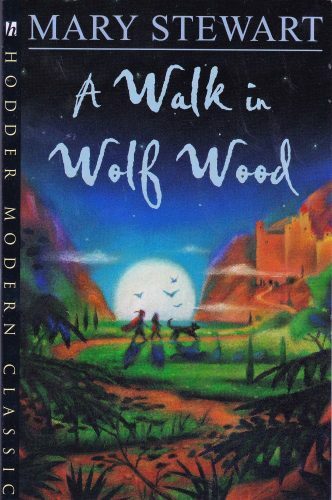 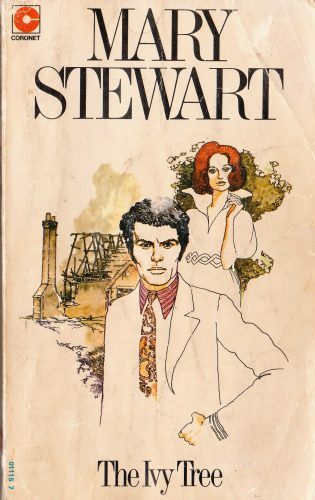 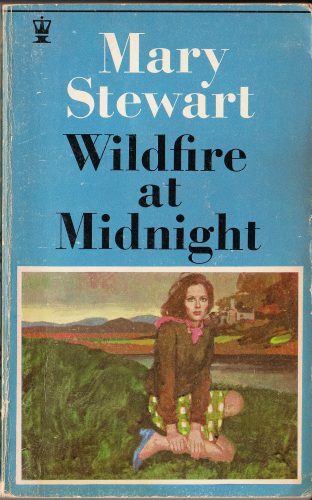 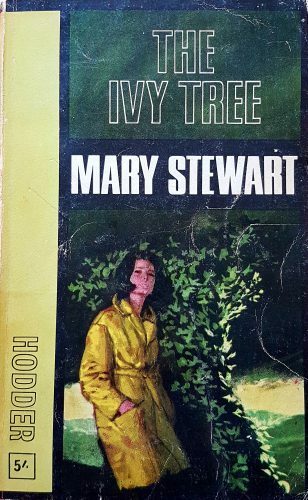 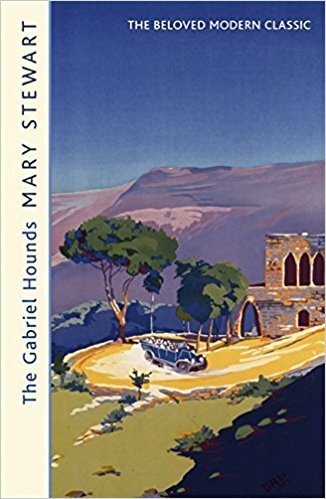 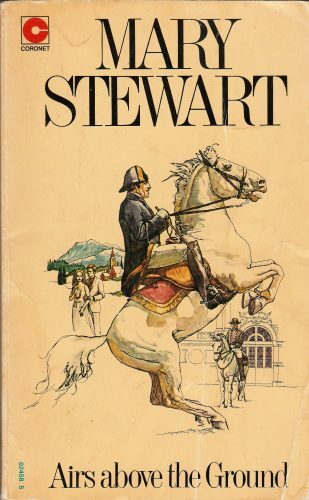 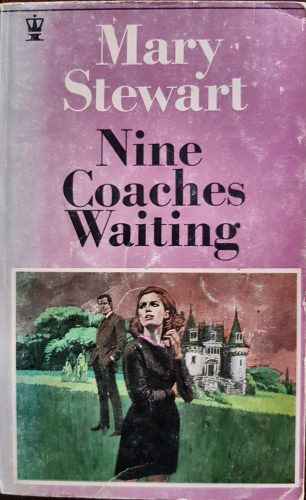 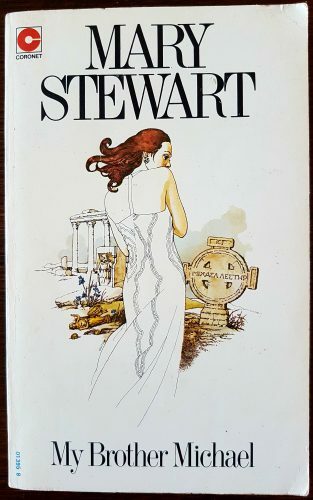 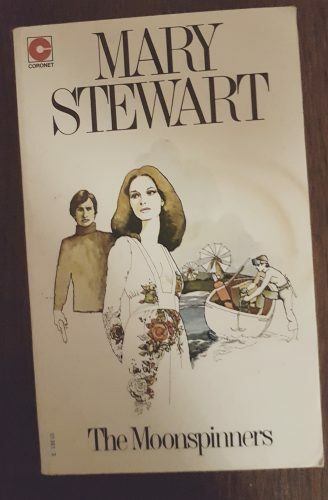 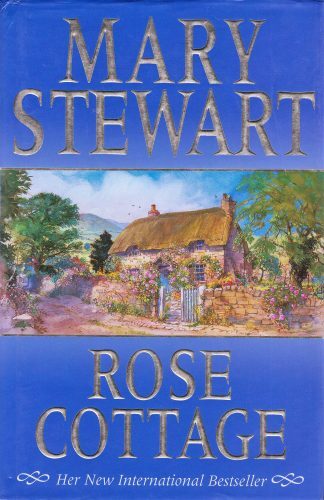 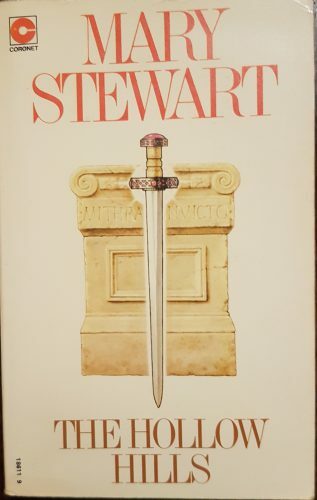 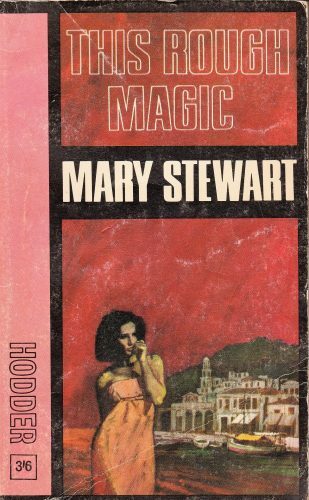 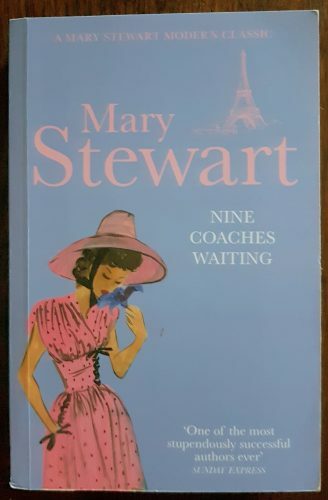 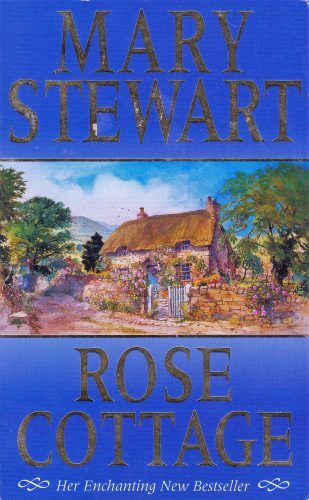 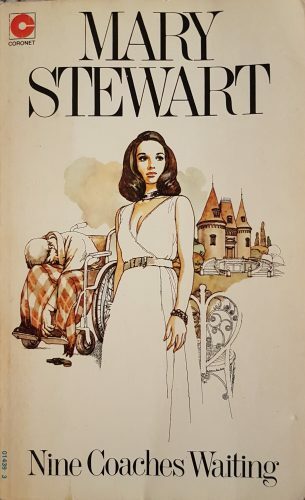 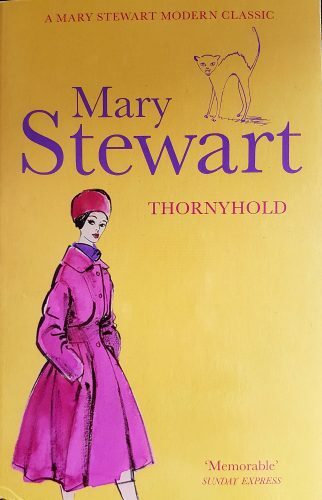 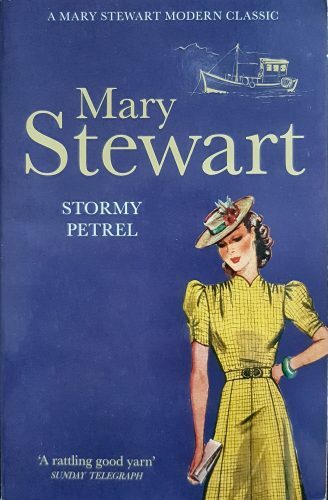 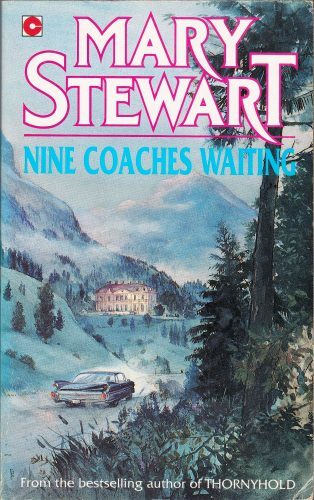 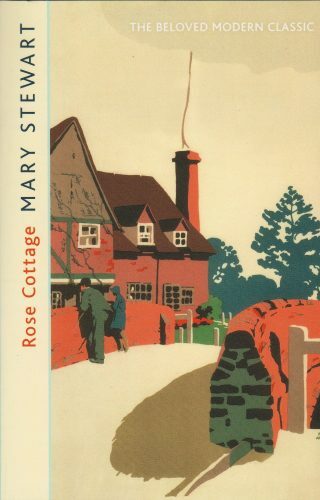 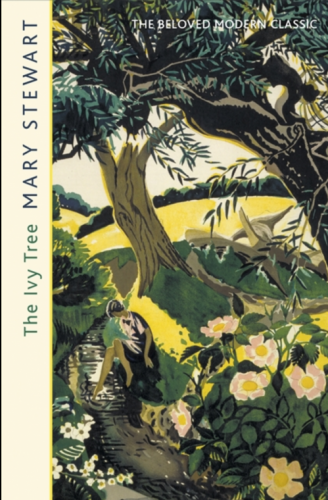 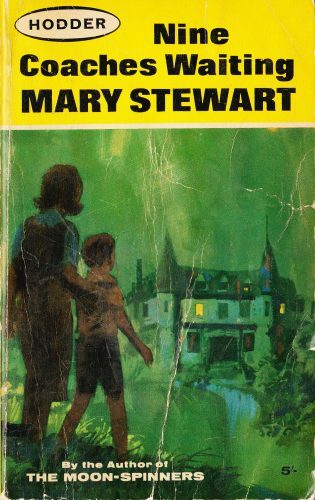 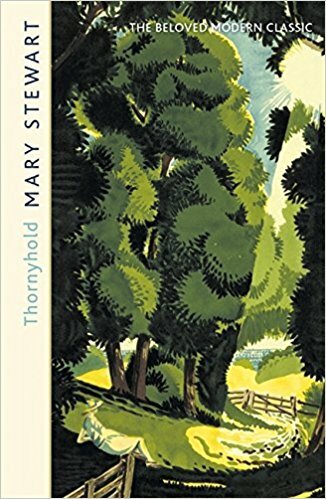 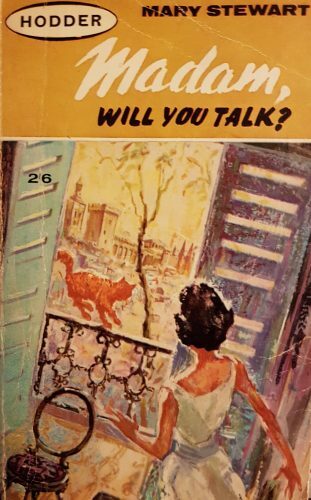 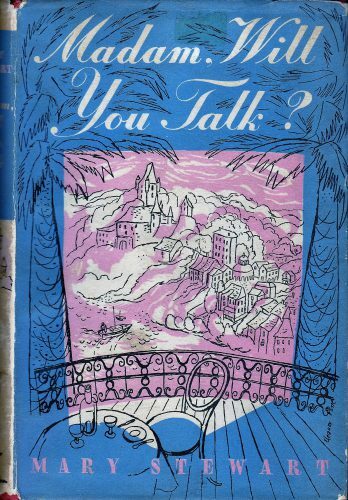 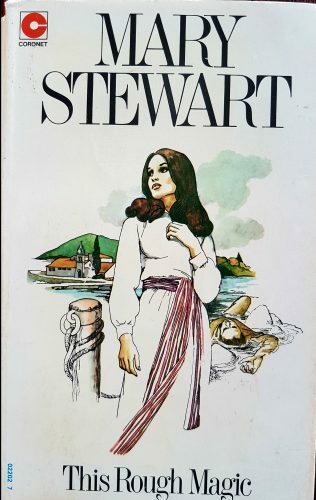 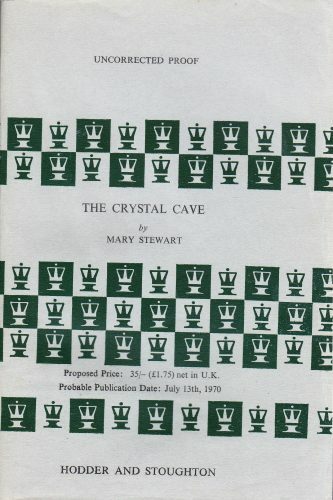 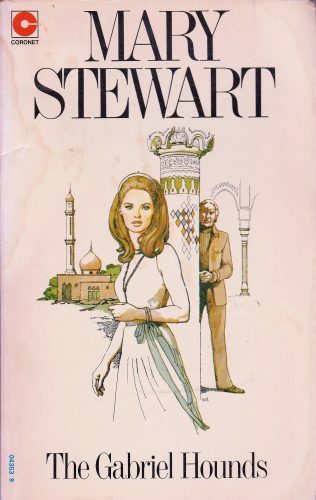 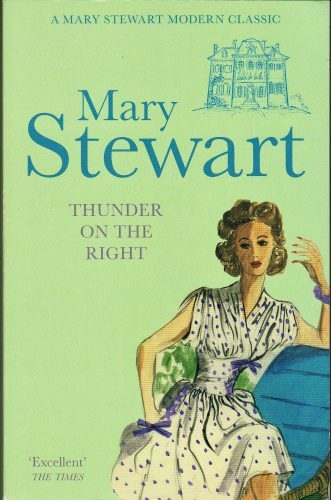 If there is anything that could make me happier than hearing that blog visitors are going to (re)read Mary Stewart books, it has to be the thought of a Mary Stewart reading journal! 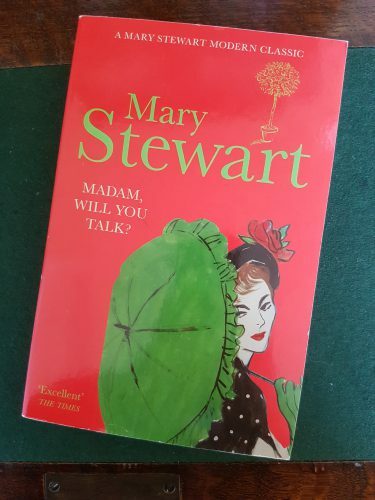 I love your idea and I hope that you will share some of your favourite quotes. 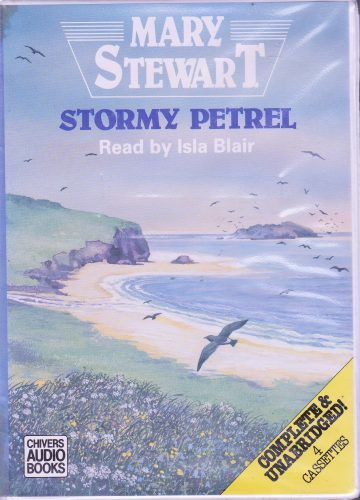 Thanks too for sharing your experience of poetry-writing, that sounds amazing.